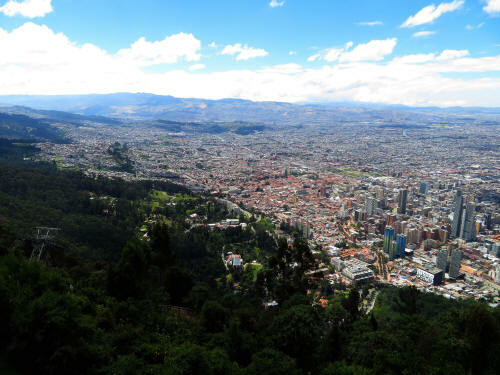 Bogotá, capital of Colombia is home to 8 million inhabitants. 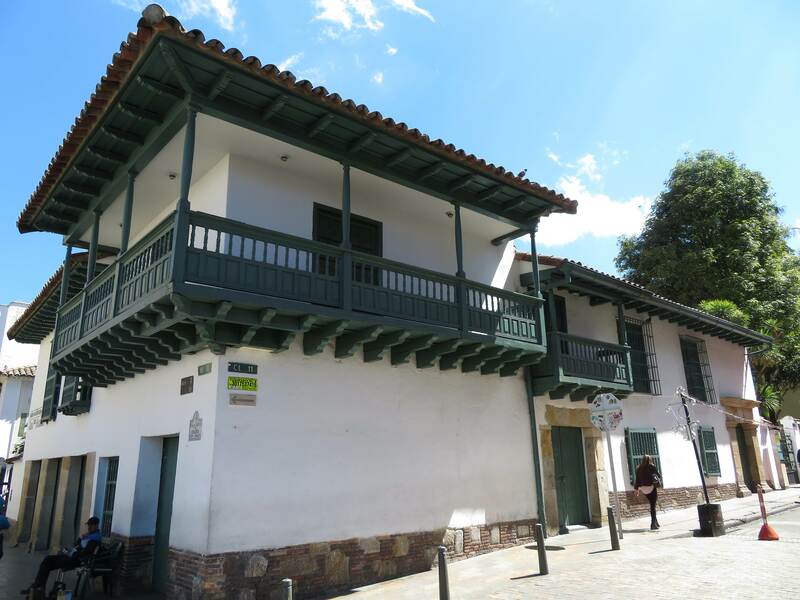 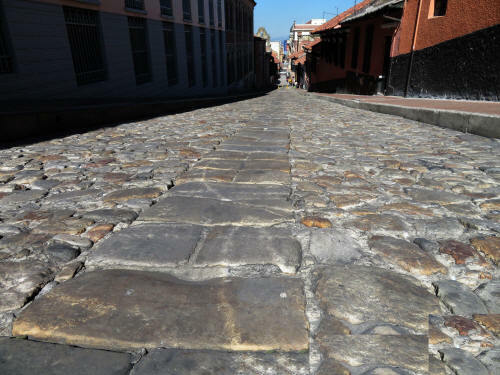 Old town, Bogota, better known as the Calandaria has many fabulous colonial and 19th century buildings and romantic streets. 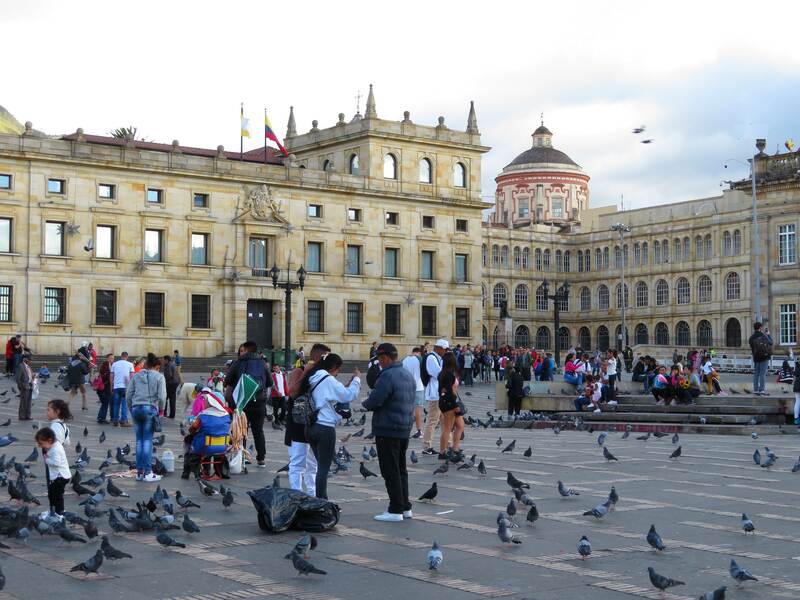 Why consider booking our Colombia National Parks Tour? 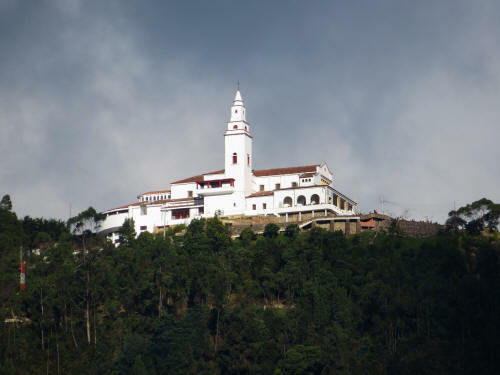 Because for the same price, our tour gets you to ALL places for which Colombia is famous, and on top of that, you get to see 7 National Parks/Reserves accompanied by a naturalist guide. 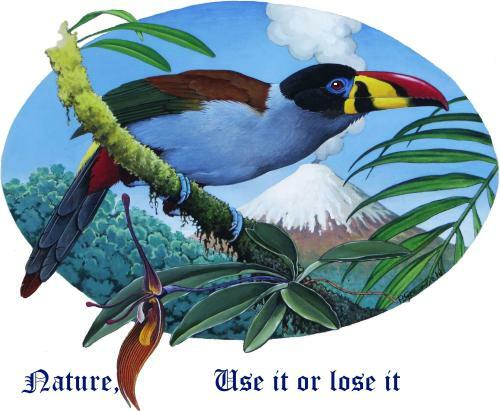 There is nothing similar on the market. 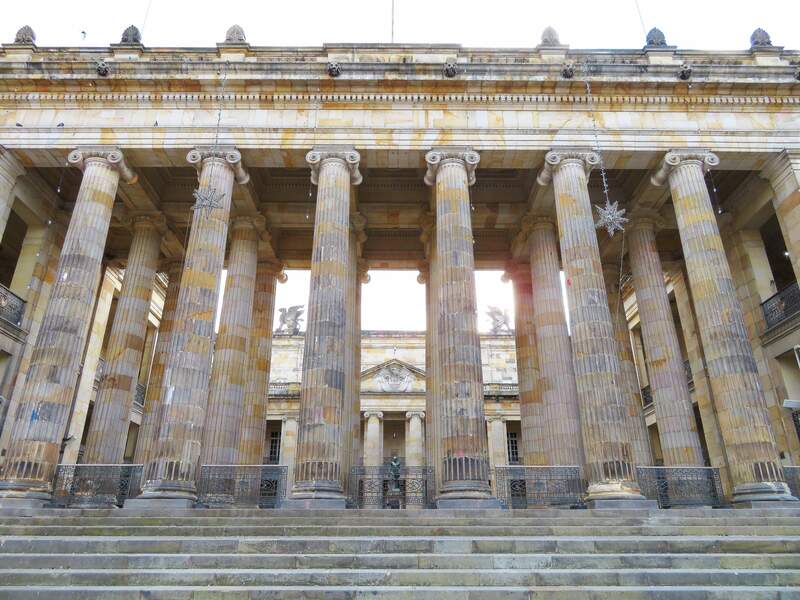 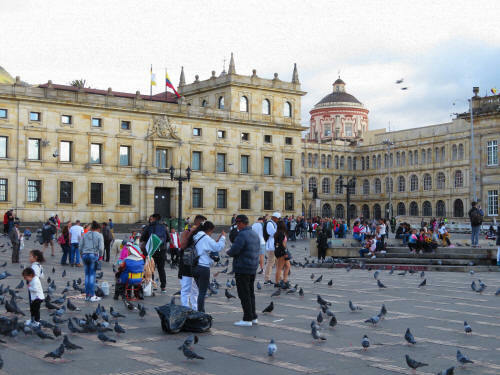 As Colombia can be combined with other countries, we organize tours in modules: Bogota and surrounding Andes, Caribbean Coast and the Amazon of Ecuador; the latter for the Colombian Amazon still not being recommended for foreign visitors. 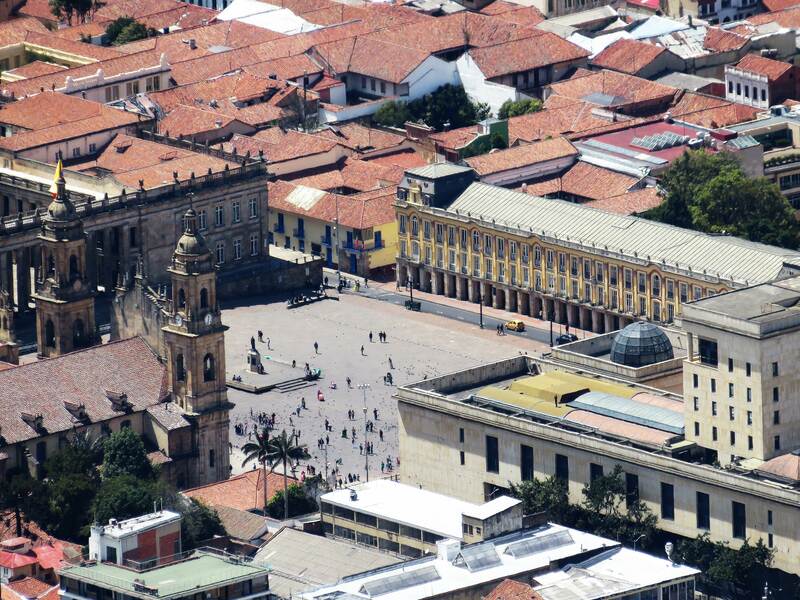 Colombia is a very large country, so you need to fly. 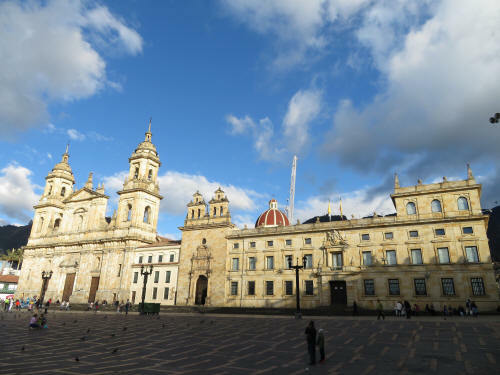 To do so at hardly any additional costs, you need to book both Bogota and Cartagena - and Quito if you want to include the Amazon module - in your international ticket. 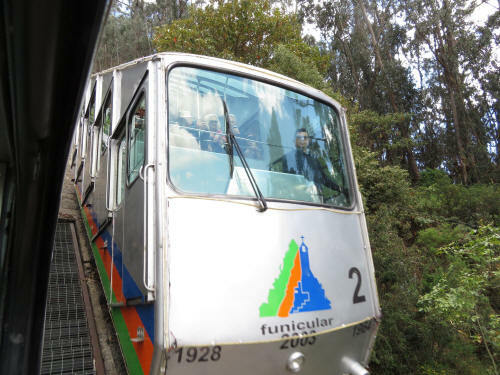 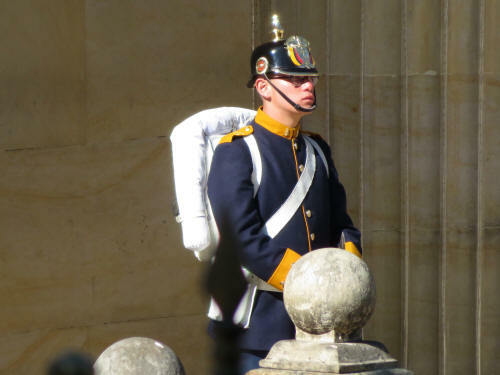 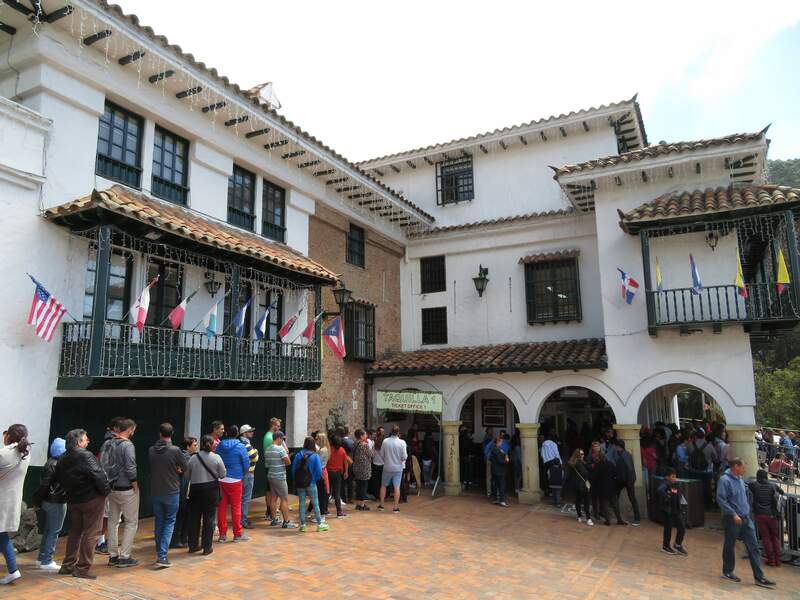 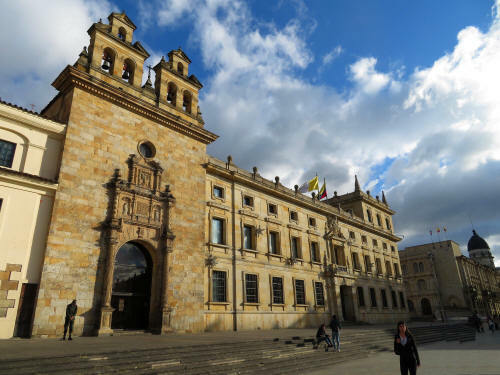 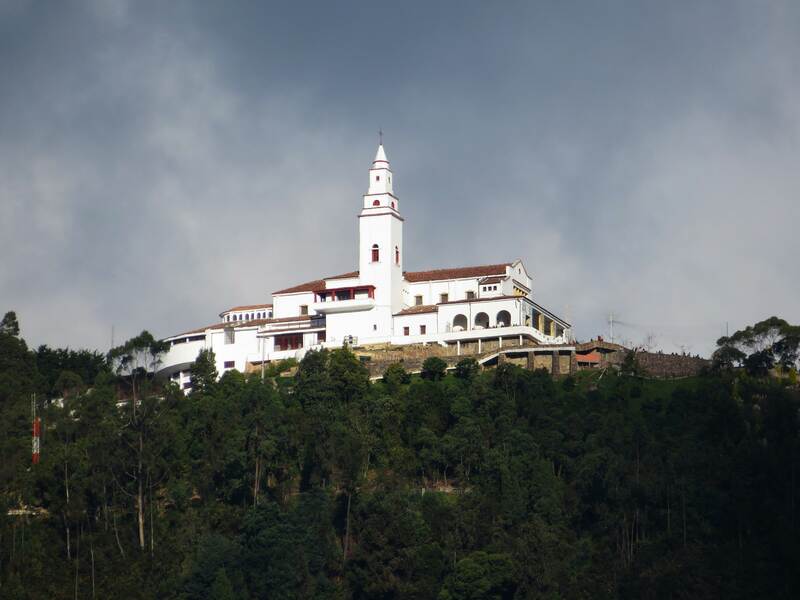 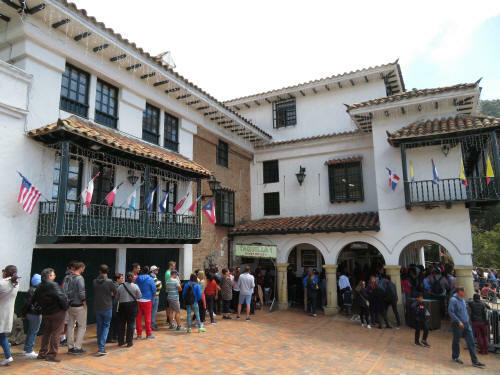 Destinations Overview: Bogota old town, Cartagena, Villa de Leyva, Zipaguira Salt Mine Church, Chingaza Reserve, Iguaque National Park, Flamencos Reserve, Cienega Mangroves Reserve, Lake Fuquene, Tayrona National Park, Manaure Salt Flats. 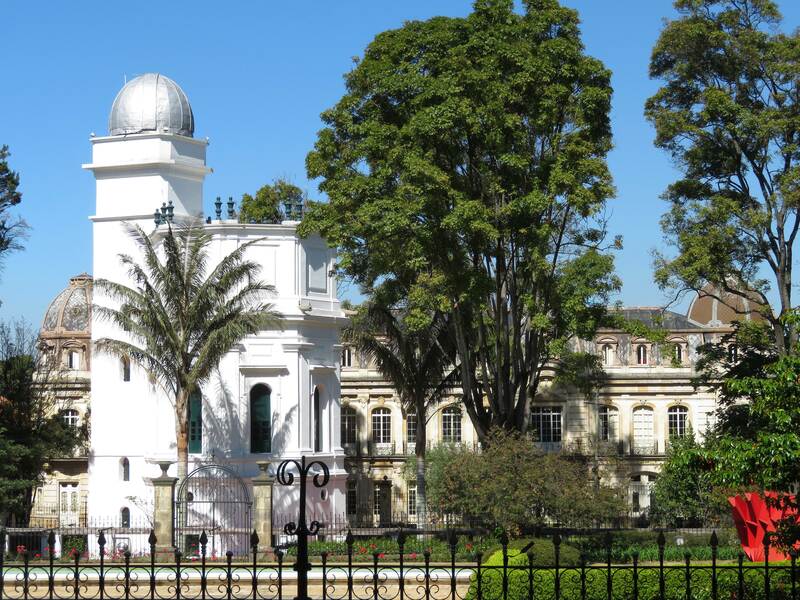 José Celestino Mutis commissioned the building of the Astronomical Observatory in the early 1800s, being the first observatory in the Americas. 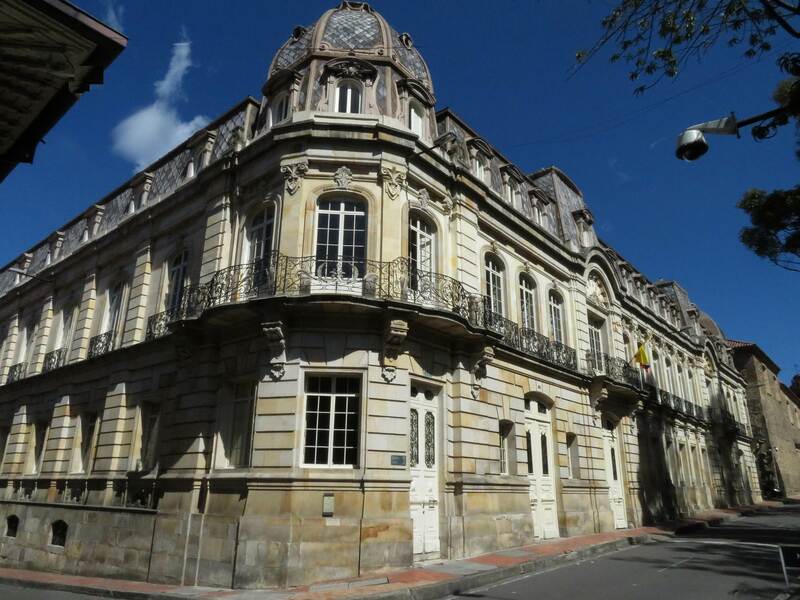 In the early 1900s Gabriel Eccheverry commissioned Gaston Lelarge to build the Eccheverry Palace on the former premises of the Santa Clara church by Gabriel. 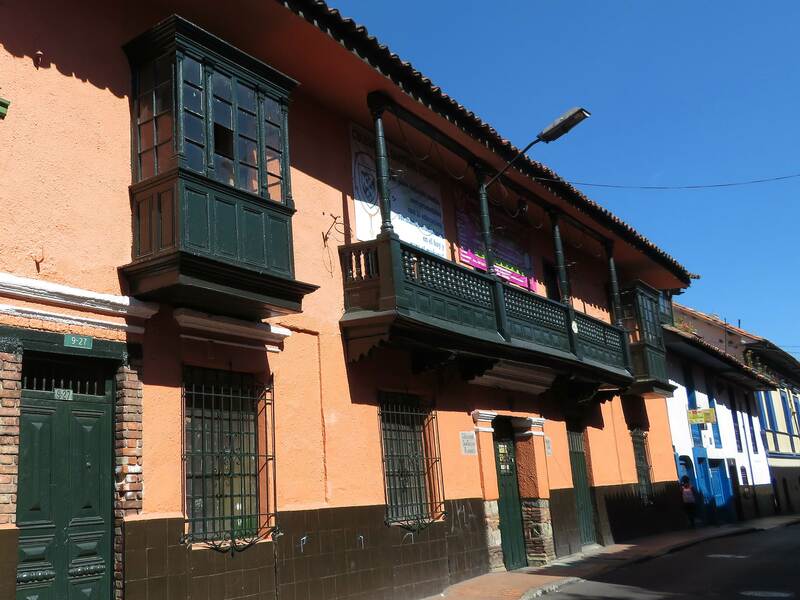 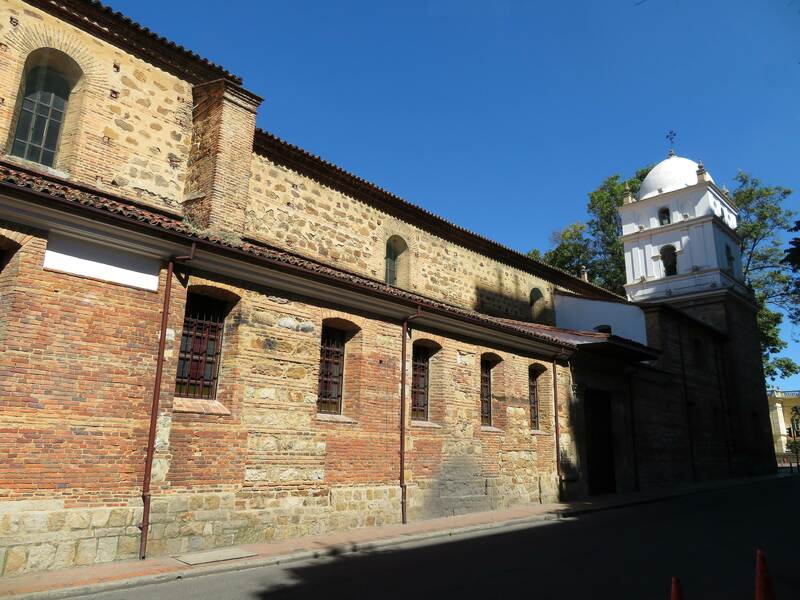 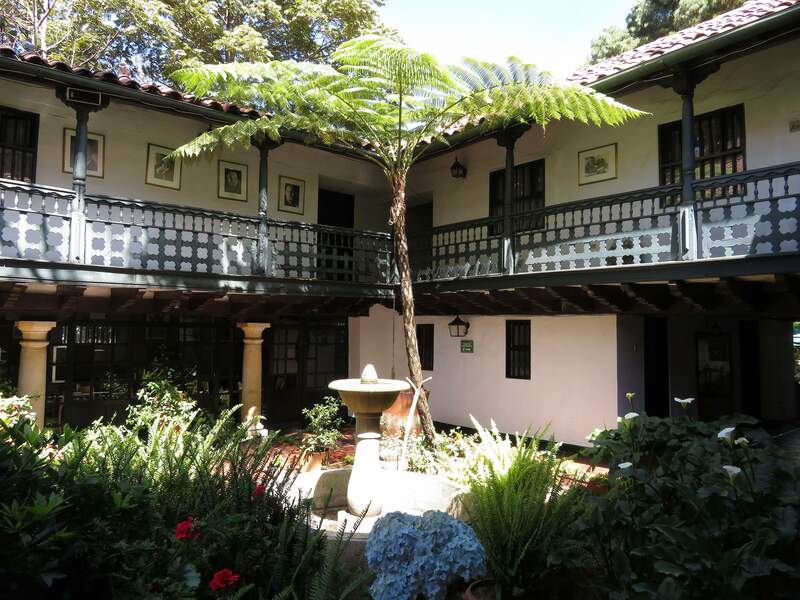 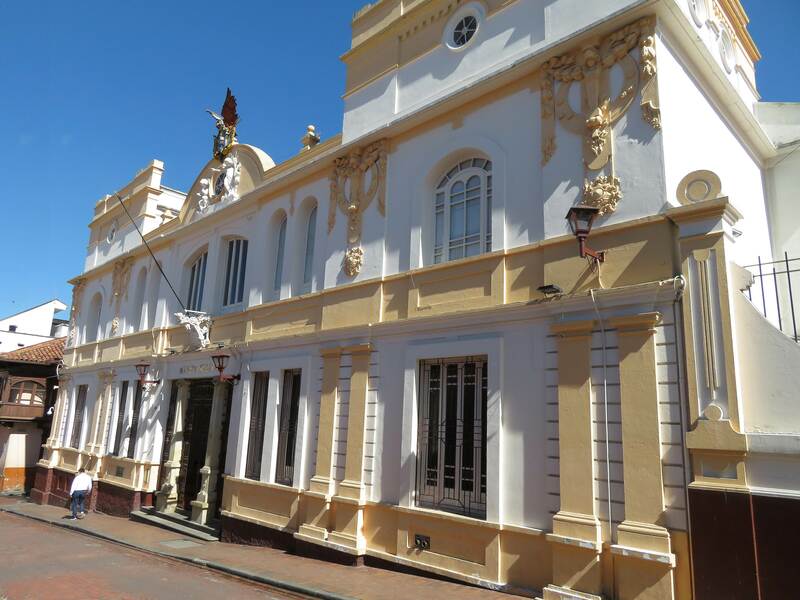 Old town Bogota, the Calandaria, with cobbled streets, houses with balconies and mansions with patios, like the Sociedad Mansion. 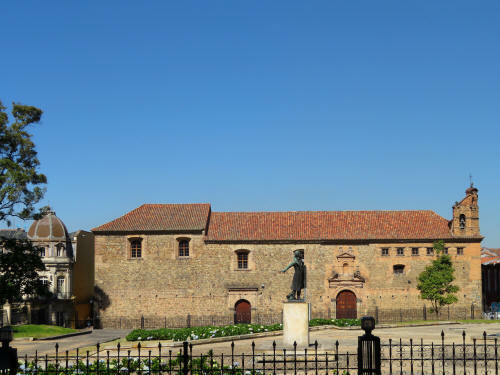 The Sagrario Chapel exterior on the Bolivar Plaza with the Cardinal's Palace, next door. 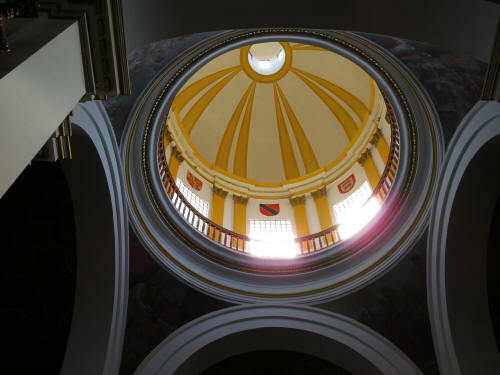 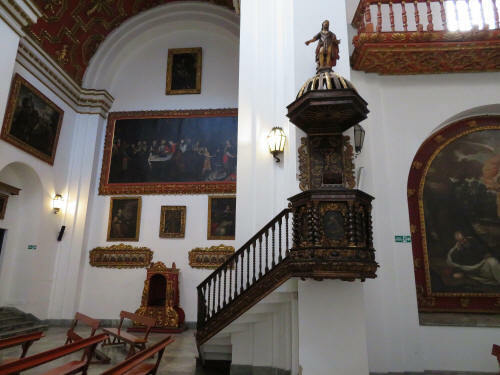 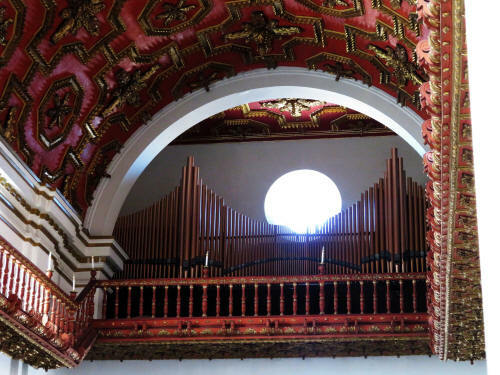 Capilla El Sagrario, interior: the Pulpit, the organ, the dome. 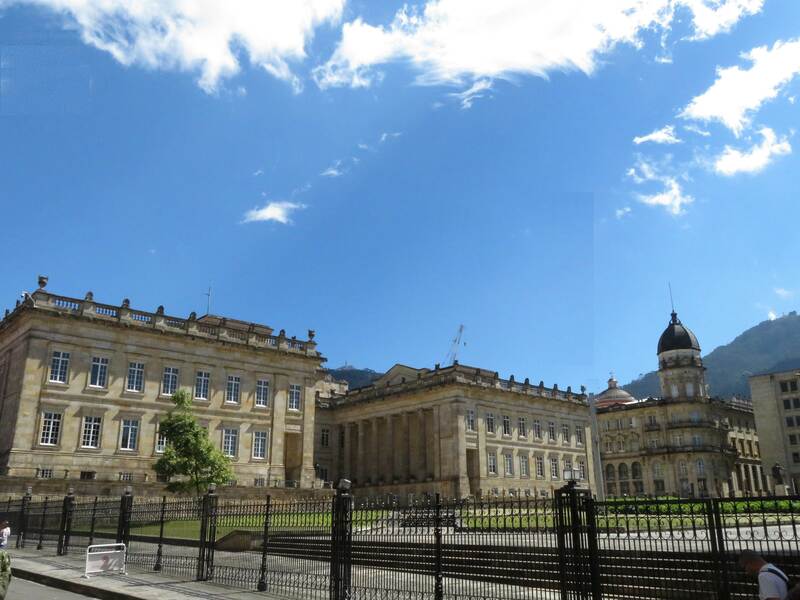 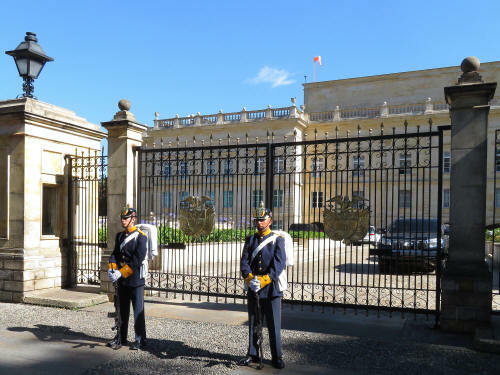 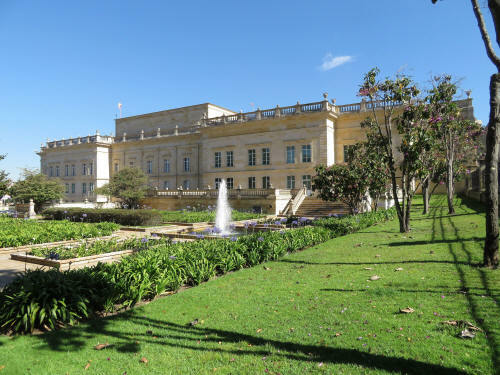 The Casa de Nariño Presidential Palace: from the side; the main gates with the palace guards; palace guard close up; The palace garden. The Primada or National Cathedral, Capilla Sagrada and the Cardinal's Palace. 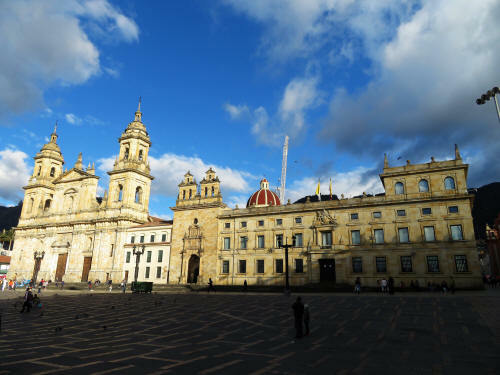 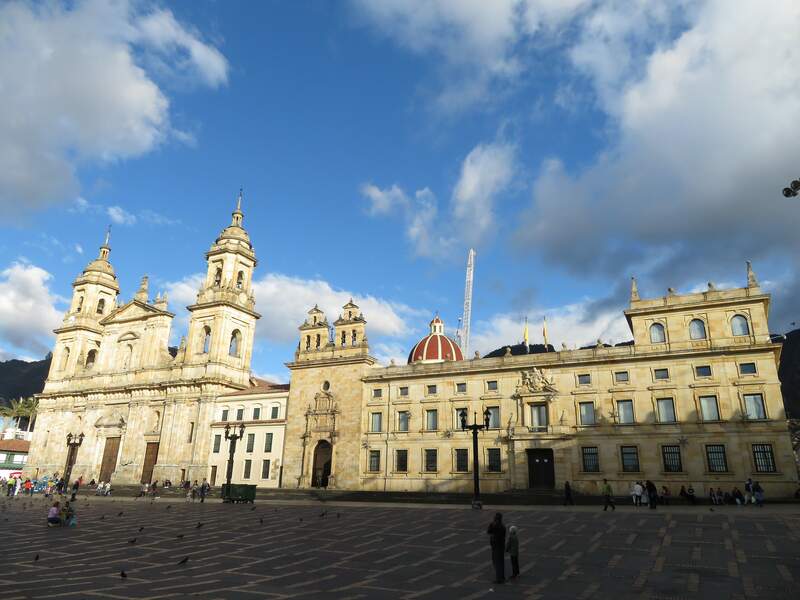 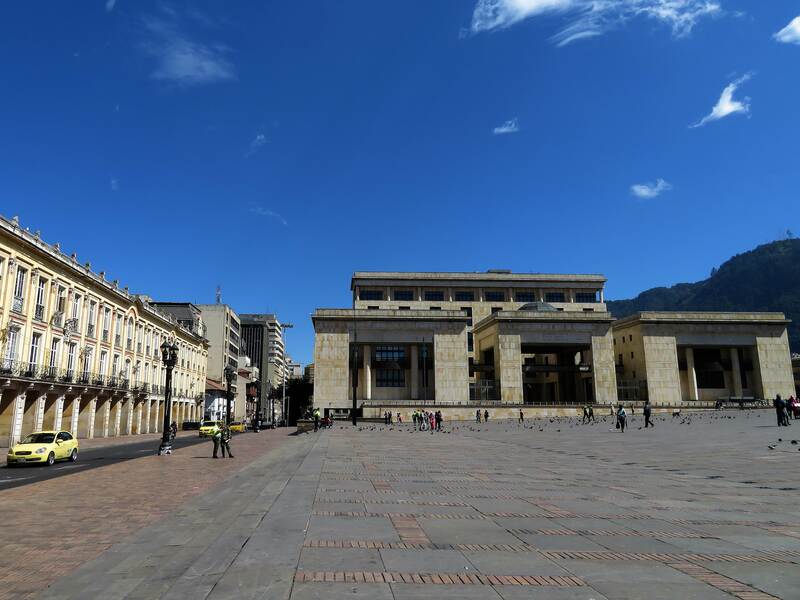 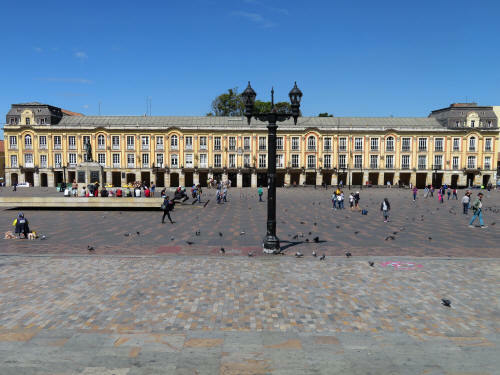 The Plaza Bolivar with the Lieviano Plalace, the Cardonal's Palace and the San Bartolome Highschool, and the Palace of Justice. 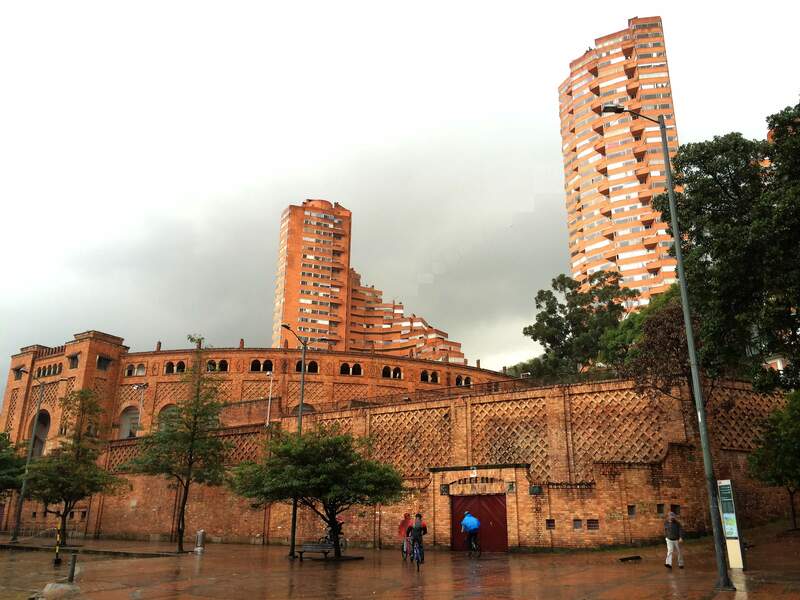 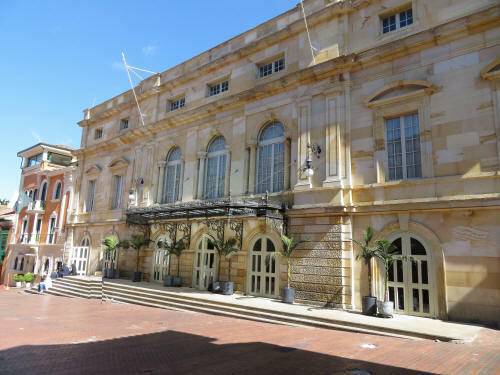 The Colon Theater of Bogota. The Plaza de los Toros de Santa María is a nice-looking brick building built for bull fighting. In some neighbourhoods, many buildings high-rises are covered with bricks giving a homey feel to those streets. 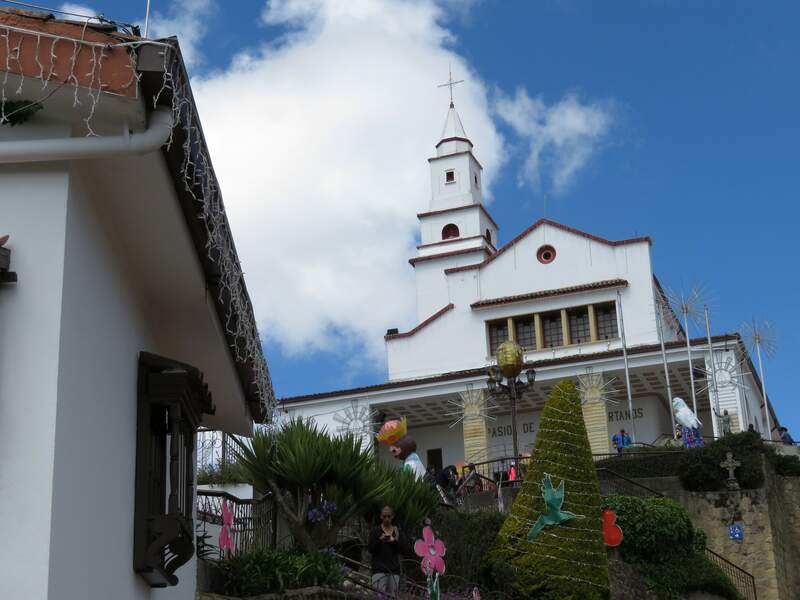 Montserrat hill from the distance; Montserrat ticketing office; the Fulnicular vertical train; Montserrat Church with Christmas decorations. 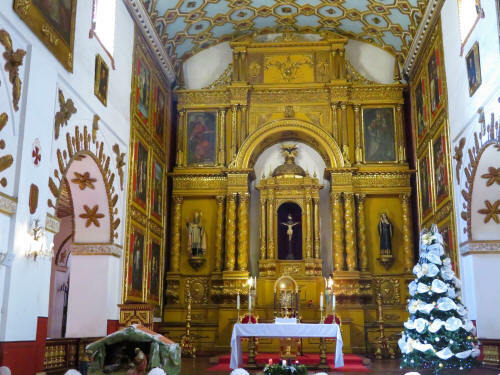 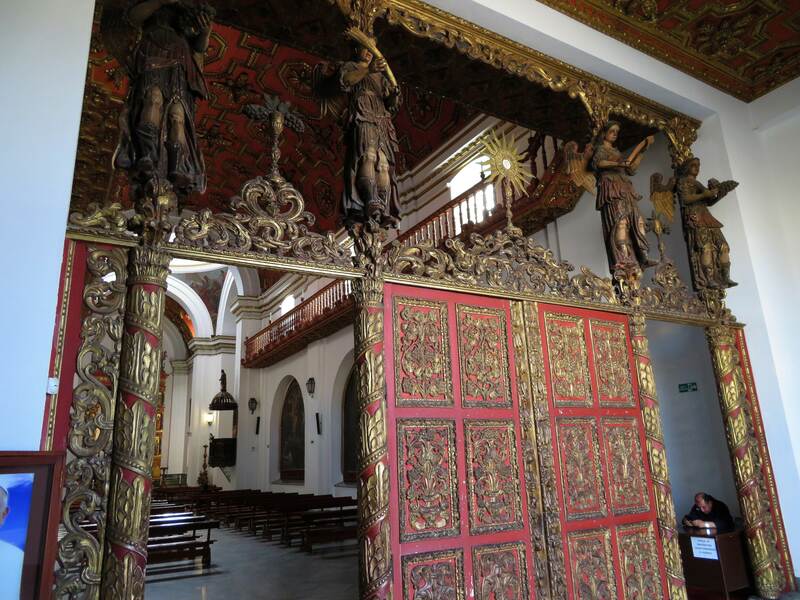 The Santa Clara Church Museum. The San Agustin Church, exterior. 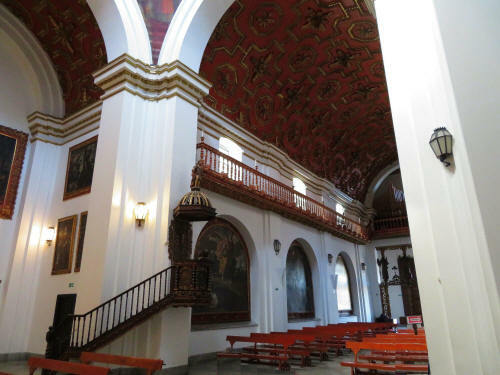 The San Agustin Church, interior.